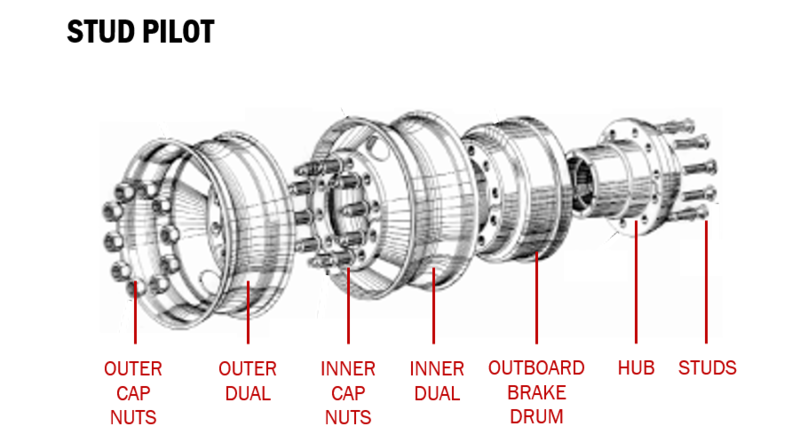 Substantially more common, the hub pilot system is the newer wheel set up. Hub Pilot wheel weight is carried by the hub on which the wheel is centered. Lug nuts sit flush to the wheel face and exclusively secure the wheel to the hub. 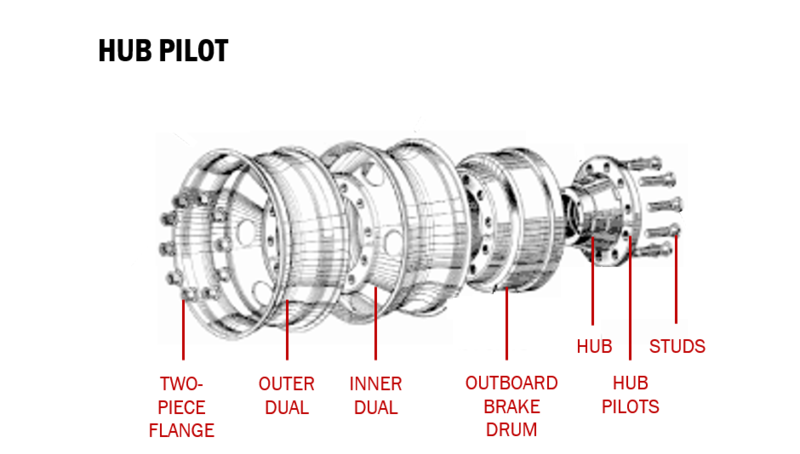 Hub Pilot might also be called Uni-Mount, Metric, or New Style. Stud Pilot systems are older and less common. Stud Pilot systems have tapered stud holes that are matched with tapered lug nuts. The weight is carried on the studs, which center the wheel. The hub hole exclusively allows for hub clearance. Stud Pilot might also be called Budd, Ball-Seat, or Old Style. Copyright © 2018, Advanced Wheel Sales, LLC.